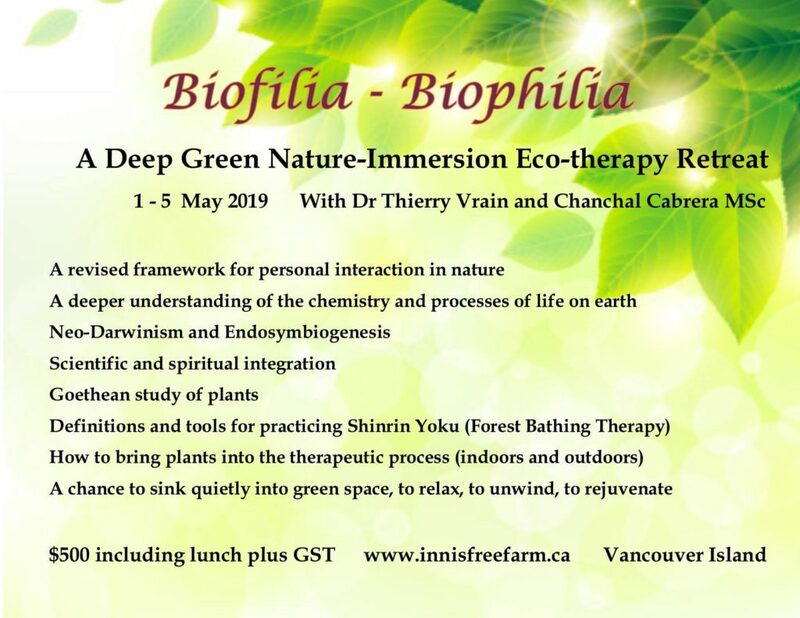 We have a Deep Green Nature Immersion Retreat that will teach you ways of seeing nature, ways of exploring nature and ways of being in nature that can deepen your personal and professional practice. Learn more here. One Friday per month in the spring and fall we’ll be hosting an Herb Study Day. 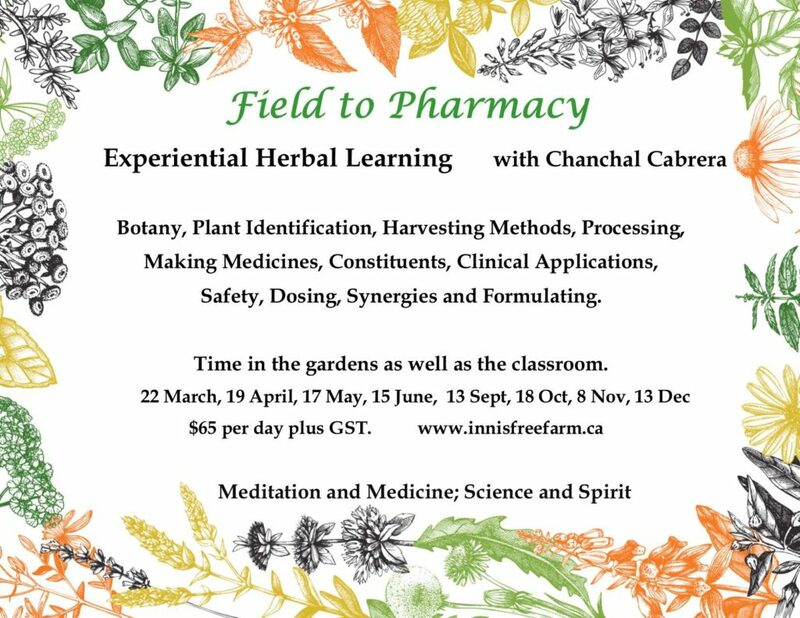 Each day in Field to Pharmacy will be a deep dive into herbal medicine for students and practitioners and for all herb lovers who want to strengthen their relationship to the medicine. One herb will be studied in depth each month. Learn more here. Lastly, if you can’t visit us in person at Innisfree, you can still learn with us in our Spring Webinar Series! 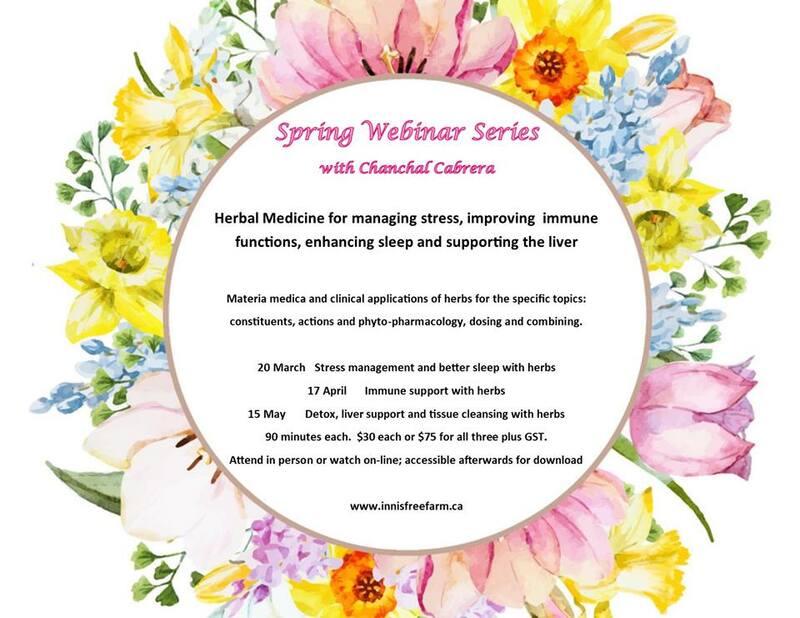 We’re offering a series of 90 minute lectures about materia medica and clinical applications of herbs for the specific topics: constituents, actions and phyto-pharmacology, dosing and combining. Learn more here.